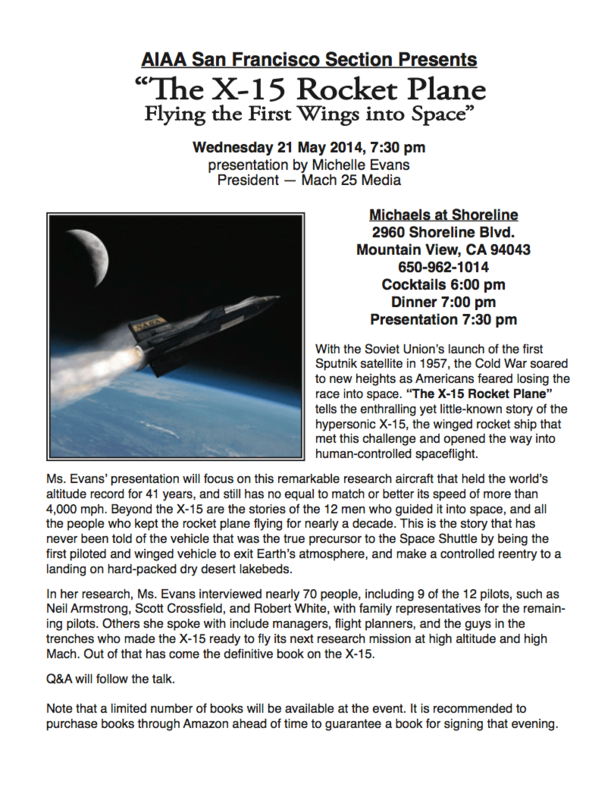 Join us Wednesday May 21st at Michaels at Shoreline for cocktails, dinner, and a fascinating presentation by Michelle Evans, President of Mach 25 Media on “The X-15 Rocket Plane- Flying the First Wings into Space.” View the flyer or download the PDF below for more details and contact us with any questions! Please register here. We look forward to seeing you soon.